"Our aim is to increase the sales volume of our network and to create a competitive edge through fast and the most convenient customer service." Previously, the price of the product and the location of the service station were the decisive factors dictating where people fill up. We strongly believe that the significance of service will increase in regard to consumers' choices. We are working hard to be able to offer an unparalleled modern service experience to our customers. This experience will be strongly linked with the increasingly visible introduction of digital services. Marketing & Services is a significant marketer and seller of cleaner fuels and oil products in Finland, in Northwest Russia, Estonia, Latvia, and Lithuania. In addition to consumers, the company serves retailers, heating oil customers, fleet customers, industry and agriculture. 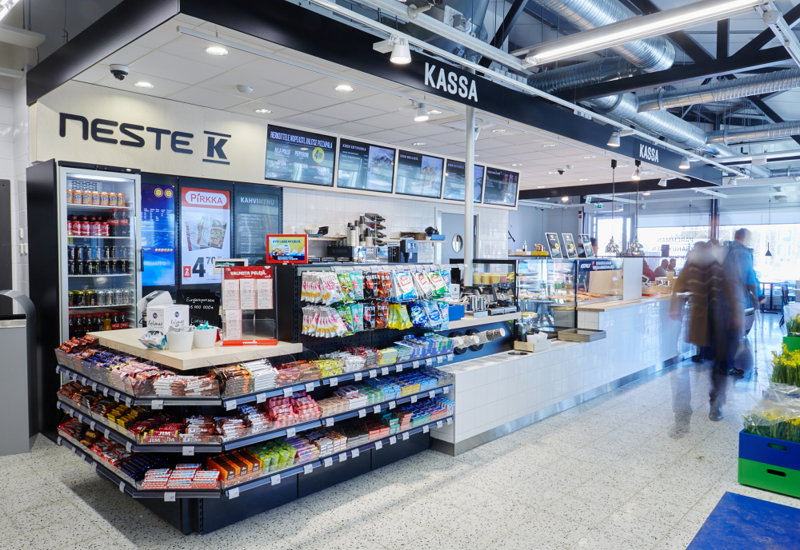 Neste has a network of over 1,000 service stations in the Baltic Sea region. It is the key marketing channel for Neste's high-quality, cleaner products. The station network plays a very important role in reaching our strategic objective of being the leading provider of fuel solutions in the Baltic Sea region. The lighting of stations and advertising signs will be replaced with LED technology.